User wrecknian  posted a similar joke and gained over , notes shown below, right. Moral of this story: Like us on Facebook! The original Vine  was posted on May 30th, with the caption "what's the opposite of gaydar? Two Bros Chillin In A Hot Tub refers to a Vine video where Anthony Padilla sings a song about two other men relaxing in a jacuzzi, inferring that they are far apart from each other so they don't appear homosexual. 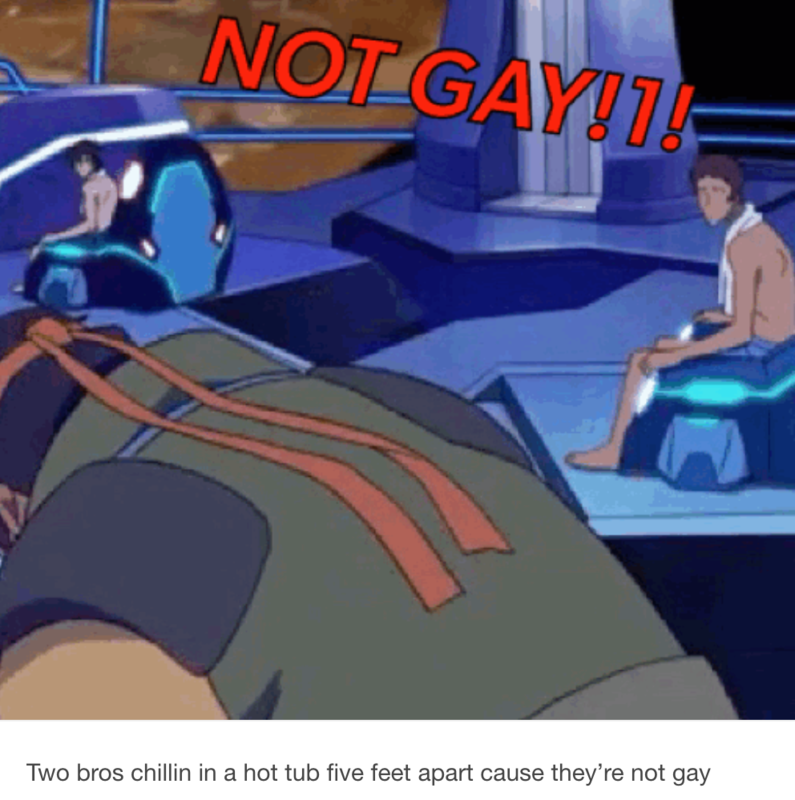 On June 9th, Tumblr user bumble-bee-tea  published a Bad Acronym featuring the letters LGBT standing for "Lesbian, Gay, Babadook , Two bros chillin in a hot tub five feet apart cuz they're not gay," gaining over 46, notes shown below, left. Is this not just a less funny reimagining of a South Park episode's joke and premise..?